So, you nabbed a job in Washington? What ya going to be doing? 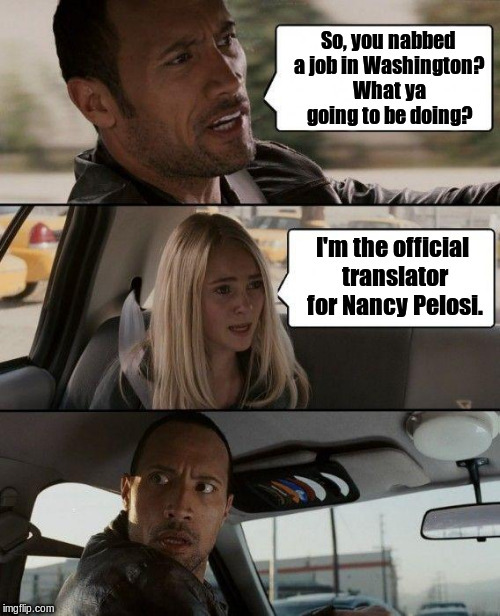 I'm the official translator for Nancy Pelosi.